Some peoples’ minds are blowing right now. The newest ‘Covergirl’ model to be gracing their covers in newsstands everywhere is a boy. A boy who really has a talent for make-up. He was discovered through his YouTube channel and has already gained quite a following on Instagram. 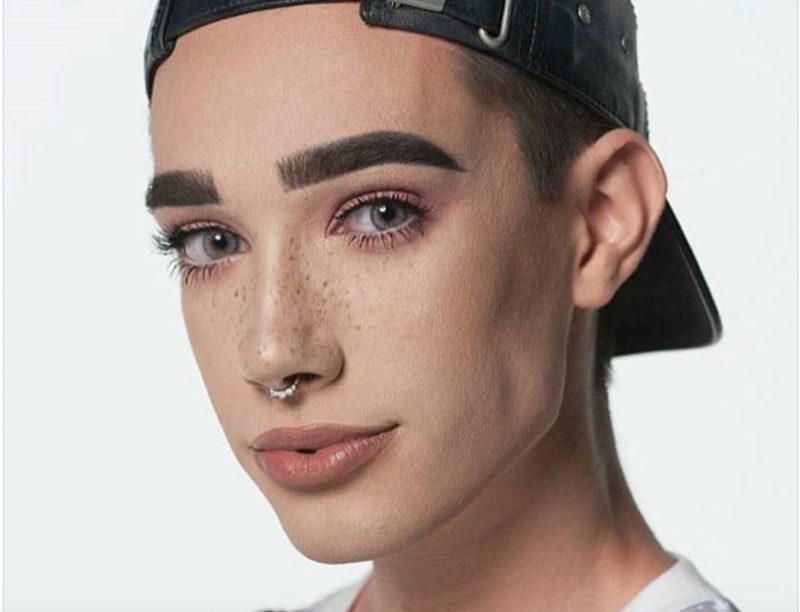 He is make-up artist, James Charles. The first male model to be chosen as a ‘Covergirl’ and there are mixed feelings coming out of the woodworks. Personally, if Covergirl chose him as their new face just to make a statement to get into headlines then the fuss is quite annoying. However, if it was on purely his talent, then go get ’em boy! It’s a make-up company…men have been just as great as make-up artists as women for decades. However, that’s not what is being discussed. What is being discussed is the question… Is Covergirl just trying to create more drama over breaking the gender norms? This is 2016 and in Obama’s America it’s been quite the rollercoaster ride. What with making everything gender neutral. The Target kids’ toy section, bathrooms…etc. Schools are now disallowing parents to choose what gender their child is on registration paperwork….because, they want the kids to decide on their own when they are ready what gender they WANT to be. <---That one kills me. There is just so much going on now that Covergirl coming out with this announcement has further disturbed those that feel their world is being flipped upside down because even the most certain of things, like what makes a boy, a boy, and a girl, a girl, is being blurred. If we disrupt the God given roles of man and woman, what do you think will happen? It shouldn’t be hard to figure it out. It’s starting to happen already. There is a purpose for a man to be a man and a woman to be a woman. Both play a huge important role in creation. None more important than the other, but complimentary to one another to create the perfect and complete creation. However, now mankind is reversing those roles, which is leaving many of our youth confused, depressed and suicidal…among many other negative consequences. It’s sad really. We got to grow up in a world a lot less complicated. Our children, will have a lot to bear moving into their future. It’s never been more important for parents to raise their children to be strong in integrity and understand the importance of justice and mercy and how they go together. It’s tough out there now for them. Here’s hoping that our children learn that if this bitter cup shall not pass, that they should drink it and be strong. Times will get more tough. Teach them to be tougher than their tough times.